Recently I’ve finished reading the second instalment of the Stieg Larsson’s bestselling Millenium trilogy: The Girl Who Played with Fire. Even though it’s quite long it’s very interesting and has also some brand droppings. Abe Sauer (@abesauer) of Brand Channel recently analysed Apple’s product placement in the first book/movie The Girl with the Dragon Tattoo. He found out that the lead characters Lisbeth Salander and Mikael Blomkvist used Apple notebooks in the book and in the recent movie adaptation. I’ll analyse some examples of product placement from the second book/movie (beware of spoilers!!!). 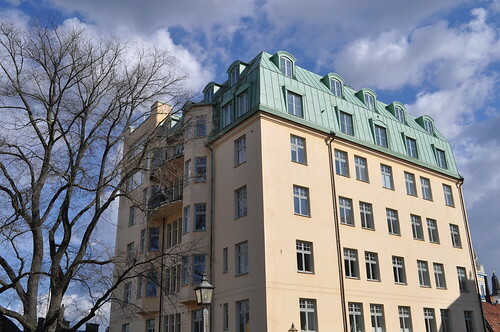 When Lisbeth returned to Stockholm from her year-long vacation she decided to buy a new flat. So she bought herself a 3,800 square feet (around 350 square meters) pied-à-terre apartment in one of Stockholm’s most exclusive areas at Fiskargatan 9 in Mosebacke (here is a map). The price paid was twenty-five million kronor (2.7 million EUR or 3.7 million USD), and the deal was concluded with two payments a year apart. Of course, Lisbeth had to decorate the empty flat. Obviously she went to local IKEA store and bought a ton of furniture for 90,000 kronor (9,800 EUR or 13,200 USD). The guys at Apartment Therapy made a lovely graphic with all the stuff she bought: two Karlanda sofas, five Poäng armchairs, a Svansbo coffee table, several Lack occasional tables, two Ivar combination storage units and two Bonde bookshelves, a Magiker unit with doors. She also ordered a Pax Nexus three-door wardrobe (yeey, I’ve got a Pax wardrobe in my apartment, too) and two small Malm bureaus. Why it wasn’t a surprise that she went on a shopping spree to IKEA? IKEA is a Swedish company with a 77 year history. At the moment it has 318 stores in 38 countries worldwide, with 17 of them in Sweden. According to Forbes IKEA’s founder and the major shareholder Ingvar Kamprad is 11th richest man in the world. IKEA’s Kungens Kurva store in Stockholm, where Lisbeth made her shopping, is the largest IKEA store, with 55,200 square meters (590,000 square feet). When Blomkvist first came to Lisbeth’s apartment he admired with awe the espresso machine. She had a Jura Impressa X7 with attached milk cooler. Stieg Larsson wrote: “Blomkvist knew that a Jura was the espresso equivalent of a Rolls-Royce—a professional machine for domestic use that cost in the neighbourhood of 70,000 kronor.” That is around 7,700 EUR or 10,300 USD (although I found some of them for around 4,000 EUR on eBay). In the movie we can see a stylish espresso machine although I couldn’t recognise the brand. Even though Lisbeth has a spectacularly large apartment and state of the art kitchen, her eating habits remain the same. 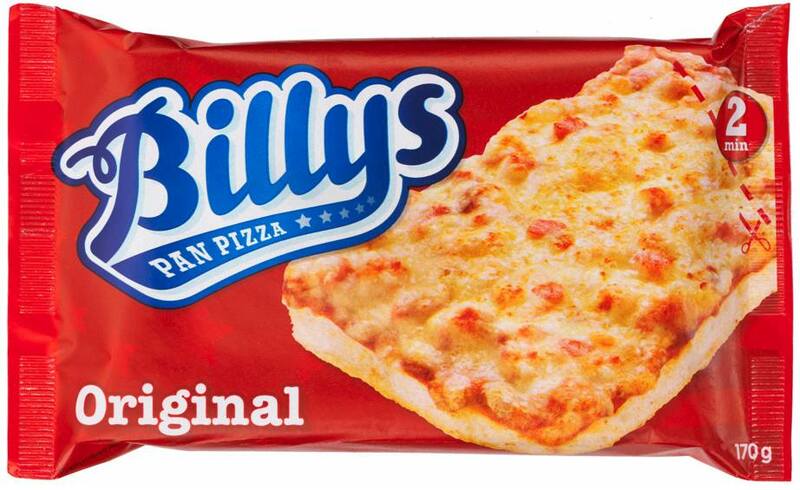 Usually she ate frozen Billy’s Pan Pizza, however I haven’t recognised Billy’s logo in the movie. In the book Lisbeth used a Palm Tungsten T3, a personal digital assistant (PDA) aka palmtop computer. 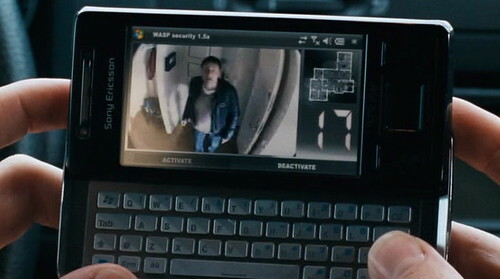 Well, in the movie she used a smartphone from “local” manufacturer Sony Ericsson. Apparently she used Xperia X2 model. The Millenium trilogy was published after Stieg Larsson’s death. In my opinion it’s great that the publisher didn’t throw out all brand droppings and product placement. As I discusses in the post Why it’s important to have brands in books IKEA, Billy’s Pan Pizza, 7-Eleven and other brands added some additional spice to those great novels. Hey, I just watched both movies and remember product placements you mentioned very well, especially the one with Ikea furniture, of course. Maybe I’m wrong, but I think I also noticed Ikea furniture in TV series The Big Bang Theory (in Penny’s apartment – sofa, chair,…). All these brands were mentioned at the books not only in the movies. I really like that brands appear at movies and films, it’s imposible nowadays ignore that brands are always in our lives and that they talk about us. Highly recommend those three books!! The espresso machine is from a company named Profitec from Heidelberg Germany. They specialize in distinctive Italian designs from the 60s.